The rapid growth of Grand Canyon University’s science programs has helped draw Dr. Perry Baker back to the campus where he earned his master’s degree. 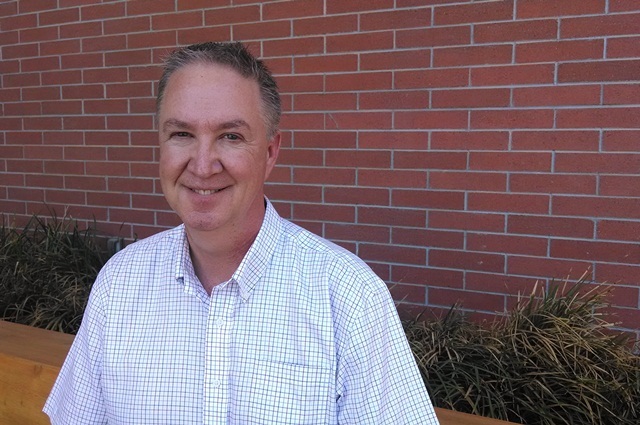 A former dean of Arizona Christian University and program coordinator and professor of biomedical sciences at Midwestern University, Baker has returned to GCU to serve as assistant dean of the new College of Science, Engineering and Technology. Dr. Perry Baker is the new assistant dean of GCU’s College of Science, Engineering and Technology. Baker is overseeing science programs that include biology pre-med, pre-physical therapy, pre-physician assistant and pre-pharmacy, in addition to exercise science and forensic science. Although his background is in microbiology, Baker earned a Master of Education degree from GCU in 1988, and completed a Ph.D. in zoology at Arizona State University a few years later. He also taught biology at GCU in the mid-1990s, mentoring students in the same type of curriculum that science faculty members teach today in modern lab classrooms on campus. Baker said he was accepted to the University of Arizona College of Medicine after completing his undergraduate studies in microbiology, but decided he wanted to teach. Like other health care students, he was challenged by identifying the right career path. Few universities have the ability to guide students as GCU does, Baker said. In his time networking with health care agencies and universities, he learned that people felt “assured of the quality of students” who were graduating from the University’s programs. Efforts such as the pre-science coordinator program in CSET will help students prepare for the rigors of applying to graduate health-care programs. That intimate, individualized connection is often lacking at larger, more established universities, Baker said. Dr. Mark Wooden, CSET’s dean, said Baker exemplifies the multidimensional science-mindset that GCU seeks in both its faculty and students. “He comes with a strong academic science background, plus administrative experience in health sciences, which was important for us,” Wooden said. With the hiring of Baker, Wooden will be able to focus on developing new technology and engineering programs, such as the computer science and information technology bachelor’s degrees to be introduced in the fall, while Baker handles day-to-day operations in the science programs to encourage “engaging, project-based” curriculum. Baker fills a post previously held by Dr. Mark Wireman, who remains at GCU as a professor of anatomy and physiology. GCU’s Christian faith foundation also lured Baker to the University. The integration of faith in classrooms, and blending of faith with science, has appealed to him throughout his career. For years, GCU’s science faculty has encouraged students to get involved in the campus chapter of the Arizona Health Occupations Students of America (AzHOSA), seek internships to shadow health-care professionals in the field and bolster their portfolios with real-world experience. Baker said he agrees with that philosophy of making faculty “personally involved” in the “professional choices” students make for the future. Contact Michael Ferraresi at 602.639.7030 or michael.ferraresi@gcu.edu.